A Perfumed Pilgrimage – Page 2 – ~a scented journey from Canada to Grasse. Happy November everyone! After a lot of work and a big learning curve, we have just beta launched the new site for 1000 Flowers, and it is now mobile friendly! You will see a few changes in the boutique: our 15ml splash version is discontinued, and all fragrances are now available in 30ml, with Reglisse Noire available in 30ml and 50ml format. In about 1 month, we will be announcing a brand new collection of fragrances from 1000 Flowers, inspired by the Mediterranean region, with all new packaging and a sunny, vibrant theme. And in the coming days, we will tell you how you can be part of the launching of that collection. To celebrate the new site, for the next 7 days (until Nov 7th), we will offer a coupon worth 15% from your purchase- just enter the code: ‘sunshine’ on the checkout page (all lowercase). Also, since we are still beta, feel free to comment and let us know how you find your experience navigating the site. Also, you will be seeing some informative posts appearing here on the blog, written by a guest writer, an intern here at 1000 Flowers, who will be exploring various subjects relating to Grasse, perfumery, and the region. So sign up if you haven’t already, and stay tuned! Have a happy day! Amazingly, almost to the day, one year has passed since my last post to this blog. The year since last October has clearly been a very busy one, as I have been working on perfume creation for clients, and have had very little time to work on new fragrances for 1000 Flowers. I have been enjoying this developing side of my work, as it is a very rewarding experience to translate someone else’s brief into a commercial fragrance, rather than always drawing on my own ideas for new fragrances. I have been learning a lot too, refining my skills, and am now working with a very esteemed lab near Grasse who takes my formulae, and mixes up the final perfume concentrate from their stock of the best raw materials available. Slowly but surely I am becoming more established on this path of being an independent perfumer in Grasse. Otherwise, as you know from previous posts, I had planned to completely repackage the 1000 Flowers brand. As it turns out, this was not to happen overnight. Mostly that is because all my work in sourcing exactly the components I wanted for the new bottles and sprays, was for naught since they are simply not available in realistic quantities. (or at all) There will be another post about this in the not too distant future. This is the challenge of every small company, but especially for me, since I have certain eco standards that severely limit the options, and also since what I am trying to achieve is really not supported for small projects. But more about that later…. 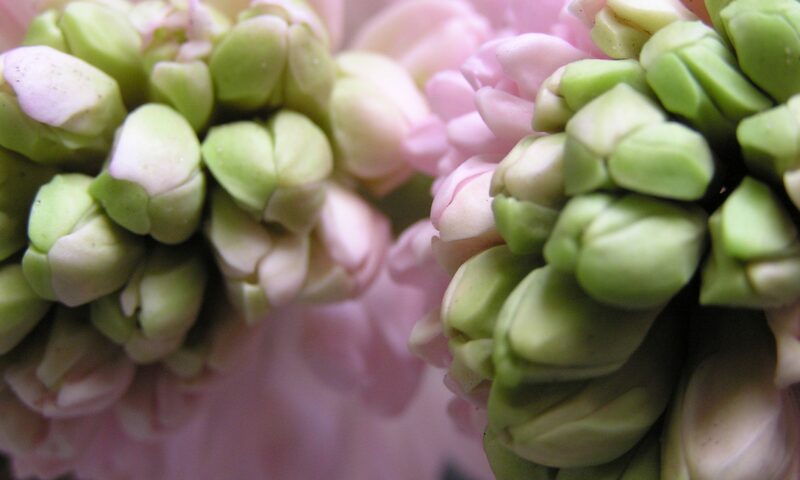 Actually, there will soon be much more activity here on the blog, as well as via our new channel on Youtube, since I have just accepted two lovely interns from the American University of Paris, and we are looking at some really exciting campaigns for 1000 Flowers. And yes, there is also a new fragrance collection in the works. In the meantime, here is the new format for Reglisse Noire. (Available in 30ml & 50ml). Change is inevitable, whether in life or in business. And change is now in the works here at 1000 Flowers. In 2010, we launched the first fragrance, Reglisse Noire, in NYC, at the Sniffapalooza Spring Fling. I had spent a great deal of time planning and designing the packaging for our first fragrance, wanting it to represent the ecological values that are important to 1000 Flowers. After much brainstorming, the choice was set on a custom-made box made of Canadian red cedar wood. They arrived as bare wood, and I hand painted them with paint made from titanium dioxide powder and acrylic medium (to get the whitest white possible), and the artwork was applied via a water-slide decal resembling the thinnest layer of paint, a process that was incredibly difficult to do successfully. For the spray component, I decided to use a threaded bulb atomizer rather than the typical crimped spray, since this also represented an eco choice, being that the bottle could be recycled or reused once the fragrance was gone. Since that time, more than a 1000 of these hand-made-with-love boxes have been sent out. Here are a few images of the design process that led to the final packaging. Since that time, of course, 1000 Flowers and I moved to France in 2011. As it was not practical to import the cedar boxes from Canada, I sourced a furniture maker in Morocco to make the same boxes, but this time from a much denser, still very fragrant, thuya cedar wood. Now, in 2014, with Reglisse Noire still as the bestselling fragrance in the collection, I am reviewing the practicality of this packaging, and have decided that it will be discontinued. The boxes are very expensive, heavy, and very labour intensive to produce, and the bulb atomizers do not last forever, and are not as appealing for some of our male audience. 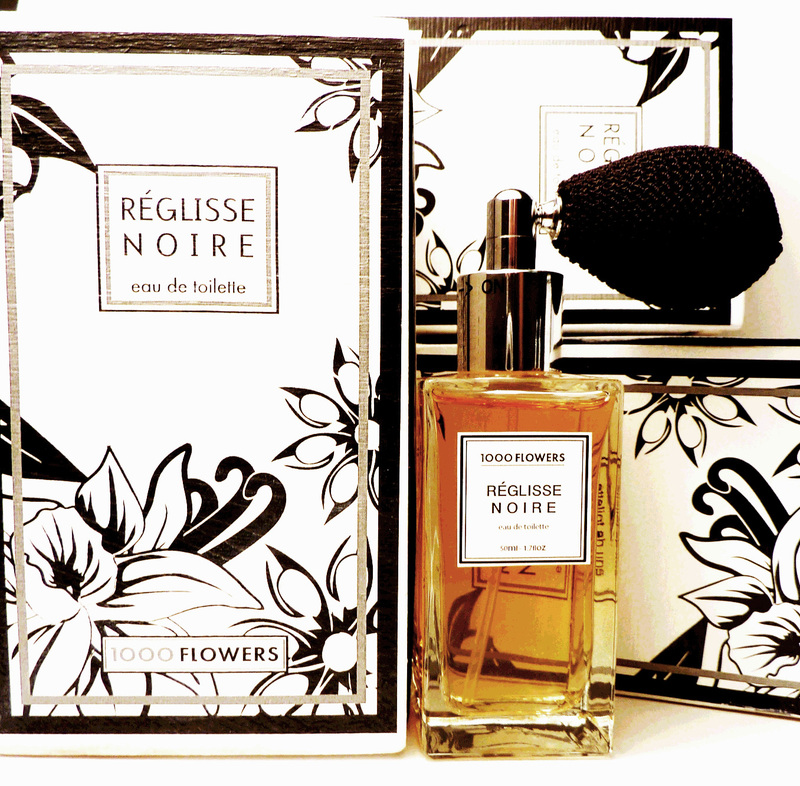 (Please note that Reglisse Noire is not being discontinued…only the 50ml format in the cedar box. The 15ml splash for all the fragrances will remain available in the boutique online. Also, a very limited number of boxes will be available at Indie Scents Canada, and Habits Clothing in Nelson, BC) *All cedar boxes are now out of stock. As for what comes next? We are gathering a team of designers and creating a new concept, new flacons, and new packaging for the fragrance collection. Plans for relaunch will be later this year. Actually, I am joking a little when writing the first part of the title for this post. As much as France (and its culture) is charming and amazing in so many ways, I will always be la Canadienne! Integrated, yes- but comfortable with keeping my own cultural identity. However, the same can not be said for my company. While strongly identified with its roots, 1000 Flowers has officially made the transition to becoming French. Making this happen has been a challenging process in some ways (nothing is simple in France), and relatively easy in others. I decided to start small, and to begin in the category of ‘autoentrepreneur’. I attended the 3 hour training session at the Chambre des Metiers et des Artisanats, in order to fill in the registration form correctly, and then compiled the stack of documents that are required to complete the application. The first submission was rejected, due to several missing said documents, but round two, was accepted, and yesterday I received in the post, my certificate of inscription with the Repertoire des Entreprises et des Etablissements. As such, I am the proud recipient of a ‘Identifiant SIREN et SIRET’. The journey to arrive to this point has been long, and has taken many steps to complete. Normally, for a foreigner to create a company in France, it is a complex and very expensive process. But since I entered on the ‘Talents et Competance’ Visa, after having been validated via the acceptance into a business incubator (Pepiniere), I was given permission to create my project in France under this particular visa. Having done my formal training here was also very helpful. I don’t have the right to work outside of my own field, and will submit my taxes here, plus qualify for the medical system. Technically at this point, (five years of living in France), I could also apply for citizenship….but this isn’t a priority at the moment. Also, just as a follow up: I wanted to address the subject of the InnovaGrasse incubator. As I had reported in a previous post (Grasse- Being in Perfume ), I worked for months to write a comprehensive business plan to be accepted into this program, and subsequently in 2011, I was accepted. This was an incredibly exciting prospect, and a great experience in the process, but in the end- I did not enter the program, and decided to continue my project independently. (Still adhering to the requirements of my visa in doing so). The reasons for this were simple- cost, and practicality. Primarily, it was only an office space, without the basic requirements of a lab- ie a sink with running water. I had been told at the onset, that I would have access to a small lab on the main floor- but when I arrived back in France, this was not the case. So all in all, I made the decision to create my own lab in a large and airy room in my apartment in the centre of the old city of Grasse. This is where I have been happily working ever since.